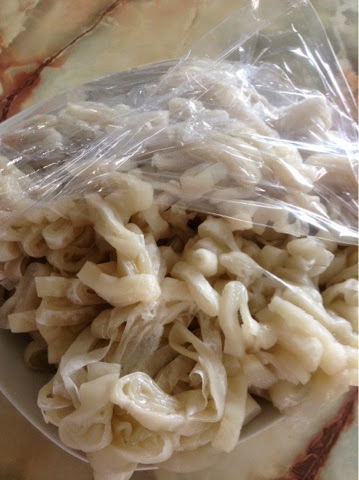 Long ngien is a Foo Chow noodle made from tapioca flour unlike mien fen kau which is made from wheat flour. Many times this year mum has pestered me to make for her to eat but I was too busy. It's holiday now and I had better cook this noodle before the new academic year starts with its busyness. Beat the eggs. Pour in a cup of water. 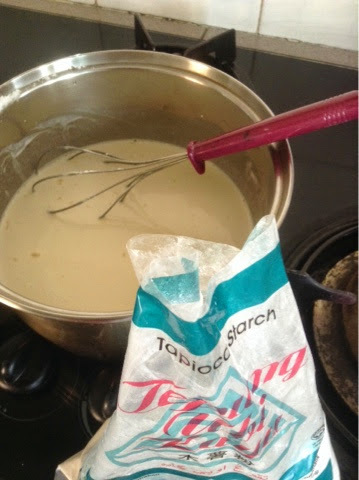 Slowly add the tapioca flour and wheat flour. The wheat flour is to make the texture slightly tougher so that it's easier to handle. Otherwise it gets too soft. Add water and mix well till it is smooth. It must have a runny consistency. Heat a non stick wok or pan. Oil the wok slightly. When warm pour in a ladle full of batter. Tilt the wok about so that the batter fills the pan. If it doesn't smoothen out on the pan easily, add a little water. The batter is too thick. This is like making crepe or pan cake. 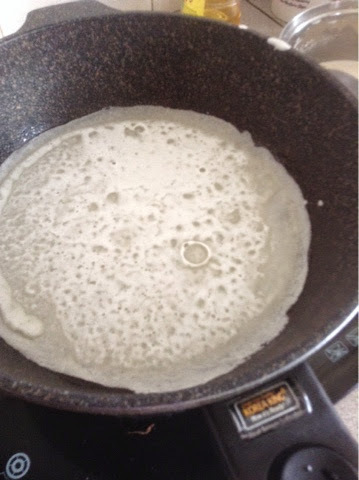 Add a little water every now and the as the batter will thicken. Oil the pan slightly after two rounds of making the 'pancake'. Lift the 'pancake ' to the table. Roll it up while it is still hot. Otherwise it will not roll nicely. 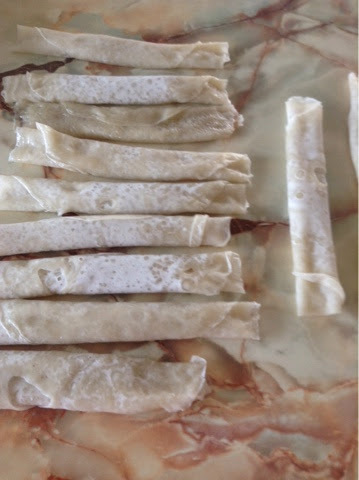 Cut the rolled pancake and the long ngien or egg noodle is ready. The stock is really up to the individual. As I couldn't find lala today, I decided to use flower crabs. I also added foo chow fish balls, mushroom, vegetables and fuchok fish paste roll. I use lots of ginger and pepper as this noodle tend to be cooling. Long ngien has a smooth texture. Don't even need to chew it. Unlike mien fen kau which can be hard and thick if not we'll done. 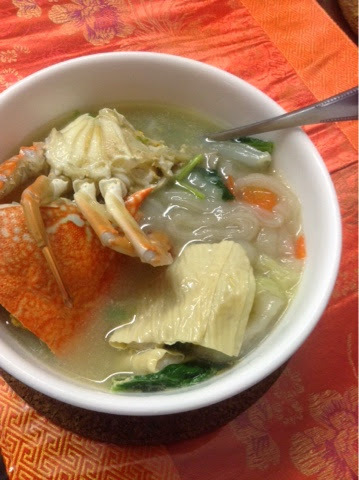 Mother eats long ngien with yemeishu. Lyn will add a dash of rice wine. I usually add DOM to mine. Real good! !